Over the last year or so, a neighbor has stocked up eight or ten piles of firewood in his yard, probably fifteen or twenty cords. What’s he going to do with it all? The house has a wood stove, but the family mostly uses the furnace, and burns wood only occasionally to get that cozy, fire-heated feel. It’s going to take them a decade or more to go through all that wood. Some of it is split and stacked, while much of it is strewn over a substantial chunk of their yard. The wood comes from another neighbor’s multi-acre eucalyptus grove. Some of the trees are huge—three or more feet in diameter, a hundred feet tall. The landowner, Lyn, can pull out seven or eight properly chosen big trees each year and still replace all that biomass in the next year’s growth. It strikes me as a sustainable yield. Several neighbors rely on her for their winter wood; the lot pumps out a good fifteen cords a year, and in our mild climate, you can heat a 2000-square-foot house using only wood by burning about a cord and a half. The point of my little tale is this: My neighbor with the giant woodpile is thinking that the most secure source of wood is the store of it in his yard. But—to put it in systems language—that’s focusing on stocks over flows. We tend to do that in this culture. However, the real wood storage is the woodlot in Lyn’s yard: the standing, growing trees, getting bigger each year, healthy and enlarging rather than rotting and getting punky on the ground. Sure, it’s a good idea to keep two years of firewood on hard, which would be about three or four cords. But twenty cords? That’s a ten or fifteen year supply here. It’s a mammoth task to split and stack it all (only a fifth or so has been split in the last year, and who can blame them? ); it should be covered or it will start to rot, and that’s a huge area to cover; and even with the best of care, by year five it will be breaking down and thus won’t heat as well. Meanwhile, Lyn’s woodlot is cranking out fifteen cords of beautiful firewood every year. But we don’t tend to see flows as sources of abundance as easily as we see it in stocks—in piles of inert, stored, easily measured stuff. One reason for this is our culture’s focus on things rather than on processes, relationships, and dynamics. Another is that it’s easy to trust that by squirreling away a fat store of something in a safe place, we will be able to use it. But trusting that, say, some seeds freshly planted will truly feed you in a few months time, or that those trees will produce just as much wood next year as this—that takes a leap of faith. Especially in our culture, inculcated with scarcity and fear, we have more faith what we can see in front of us right now than in some gradual process that could, in our doubt-ridden imaginations, go awry at any moment. Those of you who have seen my pieces on humanity’s transition from foraging to agriculture know that I believe that hunter-gatherers were secure in the knowledge that the wild world would always provide sustenance of some kind—that nature could be trusted—while agricultural people have lost that, and are taught that only our own hard work and piling up a storable surplus can guarantee survival. Fortunately, with the emergence in the last few decades of whole-systems studies and related fields such as permaculture and holistic management, we’re seeing that flows are the real key to abundance. It’s flow, dynamic and well-channeled, that keeps any system running. Yes, stocks and storages are an important part of any system, but any dynamic system, whether a garden, an ecosystem, a business, or a community, is kept healthy—is kept in existence at all—by the flows cycling within it, into it, and out of it. Lyn’s living woodlot—its increasing kilocalories of stored sunlight on the hoof—is the real source of abundance, not my neighbor’s slowly deteriorating pile. I’ve seen what happens when people make the transition from a fear-based need to hoard to an abundance model of flow. Through the lens I so often look through, of horticulture versus agriculture (a culture of gardeners tending the wild’s diversity rather than farmers sweating in domesticated monocultures), early humanity’s two million years of trusting nature is a more powerful legacy than a mere ten-thousand years of control-freaks breaking nature to the plow, and I’m hoping we are returning to that. An encouraging example of this is the evolution of the prepper movement, a subset of the survivalists who have made full readiness for socio-economic collapse a major part of their lives. The term “prepper” arose in the 1990s and the steady drumbeat of accumulating acute and chronic crises of 9/11; climate change; energy descent; Hurricanes Katrina, Sandy, and other natural disasters; the financial collapse of 2008, and the feeble official responses to most of these, have driven prepper numbers to new highs. But many preppers are moving away from the “build a bunker and fill it with freeze-dried food and ammo” mentality. I’ve had some rollicking conversations about this with the lively Jack Spirko, moderator of The Survival Podcast, probably the most popular prepper website. Jack began his journey in classic survivalist mode—bunker, ammo, and all. Then he was introduced to permaculture, and a series of lightbulbs turned on. The constant flow from an exuberant garden, he realized, was better long-term insurance than barrels in a basement, and less likely to attract or be understood by those potential “apocalypse zombie” raiders. A community of like-minded men and women working together on food- and resource-yielding projects could produce much more than one man’s garden, and a large, cohesive group of tool-using (and, yes, given Jack’s world, some of them gun-toting) people would be a far less tempting target than a lone guy in a bunker full of food. And lots more fun. The preppers are moving from a mindset of stocks to one of flows. We need both stocks and flows. But our culture has focused largely on stocks, and when we do focus on flows we often go too far the other way, creating non-resilient systems that have been stripped of their buffers in the interest of economics, such as just-in-time production and so-called “lean businesses.” Stocks do have their role, especially as buffers, but it’s the flows that keep a system running. So, sure, build up appropriate stocks where needed. But be aware that it’s flows that generate those stocks, and where flows are healthy, your piles of squirreled-away stuff can be a lot smaller. Nourish those flows. That way, we can move away from fear-based hoarding to a flow-based abundance model—the one that nature uses. This is very smart and deserves a wider audience. Thanks for writing. Dee, the neighbor is a very good friend, part of our community, someone I spend a lot of time with, and we all get our firewood from the same woodlot. I’m hardly spying on them. Look, lots of writers use something they’ve observed as a jumping-off point for an illustration of something larger. In this case that observation, as I explicitly wrote, is a way to talk from personal experience about stocks and flows. I hope you haven’t missed the forest for the, um, firewood. Wow Dee, that was a bit harsh. I think you have missed the point of the article altogether. I’ve read 2 of Toby’s books and he is exactly what that country needs. Lovely article, Toby. I agree with the commenter above who said it deserves a wider audience, so i’m sharing the link with friends. I don’t know what your relationship is like with that particular neighbor, i’m curious what they would say if you gently asked them about their plans for the cut wood? Hi, Tree. Nice to hear from you! I know the neighbor well, and they plan to store it to burn it over the next bunch of years. They say they feel good about keeping a big supply on hand (I try not to make any assumptions when I write about things). I’ve loaned them my chainsaw to help them cut it, so they’ve gotta be a pretty good friend for that! I think this is a very important observation, nicely made. I see the same thing in the ‘survivalist’ mentality that involves stocking up on food items and water. What do you do when it runs out? I prefer to ‘stock up’ on skills and seeds, and invest in ongoing relationships – a different sort of flow, perhaps? As a person who finds security in a big pile of wood – even as we use our heat pump for climate control – I read you article with interest. It never occurred to me that my woodpile (all two cords of it) starts to rot after five years. You’ve given me a lot to think about, Toby and I realize that faith that the kale and potatoes will grow in the garden every year is just as important to my security. Thanks for the change in perspective. I’m glad I stumbled on your blog. Unfortunately, Toby, Mr Spirko is a vociferous denier of anthropogenic global warming, even though all the world’s climate scientists agree it is occurring and needs urgent addressing. It does nobody any good to lend credence to him by appearing on his platform. Or if you do, make a point of challenging him about it. I tried, and got a rabid response. He is part of the problem, not part of the solution. Jack is controversial and few people, including me, agree with everything he says. But he’s done more carbon sequestering through his work in tree planting and other projects than most people on the planet. 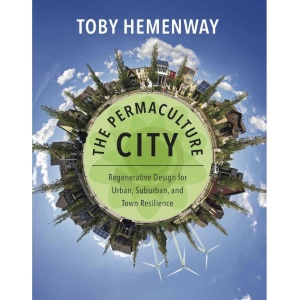 He’s also brought a huge segment of an otherwise alienated subculture into permaculture and constructive work. I give much more weight to what a person does than to their opinions, and to me, that makes Jack far more of the solution than the problem. Toby, I see your point, but still think people like you should try to nudge him away from his “libertarian” position that AGW is a plot by Leftists to install world government (which is more or less what he told me). 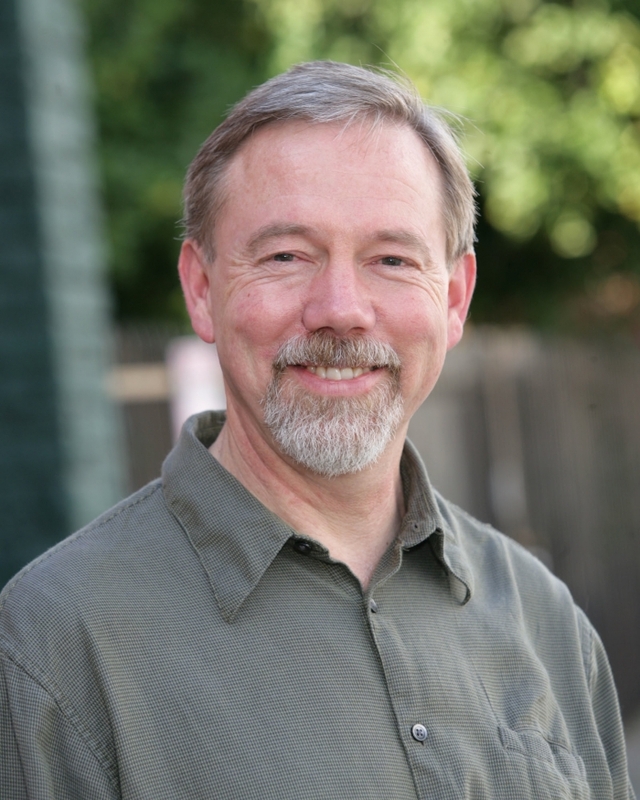 He frequently derides the science around climate change to his audience, and no matter how many trees he plants, spreading that sort of noxious disinformation to his flock is really, really unhelpful and undoes any credit he has from his permaculture work. I noticed you assiduously avoided any mention of carbon, the elephant in the room, when you spoke to him, which indicates to me that you are aware of his intellectual problem and not prepared to tackle him on it, which I think is a shame. BTW, I have all your books and use them all the time on my own permaculture acreage. I was unaware of Jack’s stance on AGW until you mentioned it. We’ll just have to disagree on the importance of that stance compared to his other work. I prefer to encourage natural allies in their good work rather than focus on where our opinions differ. Hi. Just maybe…. is he getting ready to farm mushrooms? He may be looking towards a nice cash crop. Excellent article, thank you for helping me changing the point of view. Perhaps a more useful way to view the 20-year woodpile next door to the forest ia to see it as a foolish INVESTMENT of labor to produce a capital asset (stock) that will produce only a small stream (flow) of income or dividends. NOTE: IMO several of the most basic concepts (variables) in the science of economics are unstated roots in permaculture thinking. This needs to be corrected. Permaculture design is first and foremost an INVESTMENT in the creation of landscapes (capital assets) that produce a sustainable FLOW of real income (aka “wealth”).